Sometimes an organisation needs to consult an IT company to analyse their requirements, design a solution, build and test it and finally deploy. 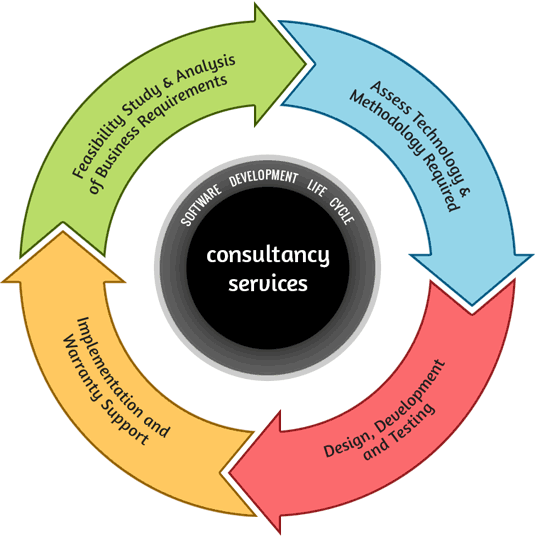 That's where our Consultancy Services come in with our extensive industry experience. Our Project Managers with PRINCE2® qualification and/or extensive industry experience of project, programme and portfolio management, can help you choose and build innovative solutions that are cost-effective and scalable with an emphasis on performance, agility and usability. Project Management Project Management plays an important and probably the most vital role in the success of any project. Here at A-Cubed, we realise the smooth delivery of your web project that needs to be on time, to budget and to the desired quality. Our skilled and qualified Project Managers ensure that this happens and the expectations of our clients are exceeded. We will provide you with a dedicated Project Manager who will serve as your first point contact throughout the project, and will plan, manage and deliver the project on your behalf.